De Lima called on the administration to utilize this ruling together with the country’s allies like the United States and Japan, to the utmost “in defense of our sovereignty, EEZ entitlements and freedom of navigation in the West Philippine Sea.” “With this legal advantage, the chief diplomat and architect of our foreign policy, President Rodrigo R. Duterte, could now proceed at his disposal to get this job done,” he added. “The ruling applies the fundamental law of the sea principle that ‘land dominates the sea,’ that is, any claim to maritime zones must emanate from land and can extend only to the limits prescribed under UNCLOS.” “No state can claim almost an entire sea contrary to this fundamental principle and maritime limits,” said Senior Associate Justice Antonio Carpio as published by CNN Philippines. 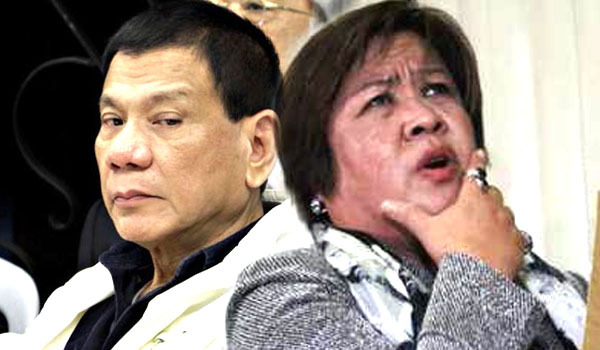 Now that the Philippines have won, will President Duterte be hearing the call of his greatest ctitic, Leila de Lima to stick with the allies to defend our newly concluded sovereignty?